Spirit Body Mind Health: a book review. We all want thrive at life. Certified nutritionist, co-pastor, poet and playwright, Laura Harris Smith wrote The Healthy Living Handbook to offer a holistic approach, helping us thrive in our spirits, minds and bodies. Building on her previous book, The 30-Day Faith Detox, Smith describes 30 healthy habits, to put and pray into practice over the course of 30 days. She organizes these habits into habits for the Spirit (i.e. the Christian life, and having a healthy spiritual life), habits for the mind, and habits for the body. Smith has some decent life advice to dole out, but I had issues with much of her approach. Smith begins her survey of life habits with a focus on the spiritual. Because her background is Pentecostal/Charismatic movement, this is where this section begins. The first three habits describe being open to miracles and the supernatural, praying in a prayer language (AKA tongues) and the experiencing the baptism of the Holy Spirit. She next focuses on cultivating habits such as: daily bible reading, respect for authority, weekly church attendance, guarding our personal salvation, trusting in Christ, choosing faith and ‘dodging doubt’, and having the assurance of salvation. The charismatic emphasis (and the Arminian emphasis on working out your salvation) may be off-putting to some readers. But my issues begin with her ideas about honoring authority. For example, in describing how spiritual healthy people crave opportunities to show honor, she writes, “I would rather be physically ill than to dishonor a pastor or other spiritual mentor, and I trust I will continue to reap honor from my own congregants as a result” (59). This sort of sentiment is really common in the charismatic movement, and sometimes results in an unquestioning obedience and reverence of the senior pastor. In a #metoo/#churchtoo age, I think this message of honor and respect needs to be balanced with a message of holding leaders to account. There are rebels without a cause, but just as often, and far too often is there abusive structures that need to be called to account. But another troubling side of the spiritual advice that Smith gives, is how me-centered it all is. I know, not a fair critique of self-help book, but following Jesus is a life on mission, announcing the Kingdom of God and transforming the culture. The charismatic signs and wonders side of the spiritual life, is framed by Smith, as entering fully into all God has for us. And she gives advice about practices that cultivate our spiritual lives (reading the Bible, praying, going to church, knowing we’re saved). 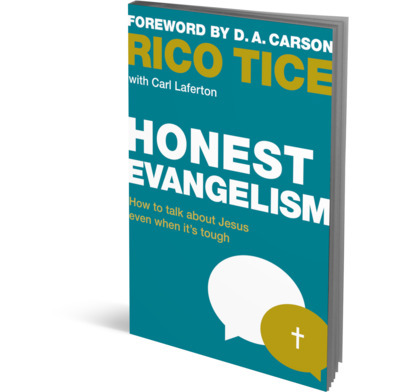 The section on knowing we are saved, does briefly talk about sharing our salvation story in evangelism, and that would be the whole emphasis on mission in the whole ‘spirit’ section of the book. If I wasn’t reviewing this book, I probably would have quit reading this book at this point. It isn’t that I don’t value the spiritual aspect to life and faith in Jesus, it is that the message of the Kingdom of God is short-shrifted by Smith’s approach to Spiritual health. But the other sections of the book did have some useful life advice to offer, however. The mind section focused on cultivating organizational habits, being kind and courteous, smiling and laughing, avoiding stress, ‘refusing’ discouragement, cultivating good boundaries, healthy relationships, and forgiving others. The ‘mind’ section didn’t have much to say about cultivating the intellectual life, but there was practical tips for navigating life and keeping a positive outlook. Yay. The final section, draws more heavily on Smith’s expertise as a nutritionist. She describes the journey of improving personal nutrition (e.g. eating a rainbow of fruit and vegetables, limiting meat, sweets and wheat, avoiding fast food, getting a good night’s sleep, exercise and watching your weight, using essential oils, and drinking plenty of water. This is the section that is the most practical and helpful, and found myself far less disgruntled in this section than I was in other sections of the book. I am totally on board with healthy living, and like that Smith takes a holistic approach. However there was too much in this book I found problematic for me to feel like recommending it to others. I gave it 2 stars. Notice of material connection: I received a copy of this book from Chosen books in exchange for my honest review. Posted on May 6, 2018 Categories Baker Books, Blog, Book Review, Books, Chosen Books, Cross Focused Reviews, ReviewsTags Charismatic interest, Laura Harris Smith, The Healthy Living Handbook1 Comment on Spirit Body Mind Health: a book review. Can Hope survive with the collapse of epistemology certainty? Is God necessarily existent for spiritual experience? Can the nihilism of our age open us up to the possibility of grace? Phenomenologist and deconstructionist John D. Caputo wrestles with these questions and more in his intellectual memoir, Hoping Against Hope (Confessions of a Postmodern Pilgrim). The book is a spiritual autobiography of sorts, but it only reveals the broad contours of Caputo’s life, focusing on the development (or deconstruction?) of his thoughts on God, faith and certainty. Caputo was raised in a devout Catholic family. He spent four years as a De LaSalle monk, before his illustrious career as a philosopher and theologians (thirty-six years as professor of Philosophy at Villanova University and professor of philosophy of religion at Syracuse University for seven years). In Hoping Against Hope he gives voice and personality to these various stages of his intellectual development. As a child Caputo was an altar boy in pre-Vatican II Catholicism who had memorized the Baltimore Catechism. Caputo refers to this younger self as “Jackie.” “Brother Paul,” is the monk Caputo who grew callouses on his knees in an attempt to learn prayer and had a love for the mystics. The professor, “John D.,” is the the philosopher who’s tongue was loosed by Jacques Derrida (the other Jackie) and the French Postmodernists. My life as a philosopher gas taken place in the distance between theology and philosophy. Like everyone else, however far forward I thought I moved, I was always circling around my origins. I soon found that the audacity of the philosophers who “dare to think” according to the Enlightenment motto, fails them when it comes to theology. There they panic, in fear of contamination. They treat the name of God like a terrible computer virus that will corrupt all their files, or like a real one, like the Ebola virus, where the odds of recovering are against you. So, mostly at the beginning of my professional life, when “John D.” stepped forth and responded to the title “professor,” while telling Jackie to stay at home, I was worried that they would say, “This is not philosophy, this is just his religion.” But my religion is between me and Brother Paul and Jackie and several others. How can they know anything about that? (104-105). With the Continental Philosophers, Heidigger, Derrida, Lacan, Lyotoard, Levinas, and others, Caputo thoroughly rejects the narrative of the Christian tradition and the official line of the Roman Catholic church. He dismantles dogma, expresses his antagonism toward the afterlife and a God that is either ‘ the Prime Punisher and the Royal Rewarder (64). He also regards the arguement between atheism and theism to be wrong-headed. With a Zen-Koan-like-air he proclaims, “God does not exist. God insists” (114). He gives fresh and unique interpretations of scripture and imagines the textual variants he wishes to one day uncover. Caputo’s thoughts run far a field from classic Christian orthodoxy. But his project isn’t wholly negative. Caputo upholds active service to the poor and marginalized and the non-religious religion of love. He says his idea of nihilism is stolen from the mystics and he employs insights from Miester Eckhardt and Marguerite Porete (both mystics ran a foul from official church teaching). What Caputo proposes is a religion of the Rose–“The rose is without why; it blossoms because it blossoms; It cares not for itself, asks not if it’s seen” (27). He brings this verse from Angelus Silesius into conversation wiht Lyotard’s religion of the smile and posits a nihilism where all of life is received as a gift (with or without a giver), where all of life is received without condition (181).